Lagos is the centre of one of the largest urban areas in the world. With a population of around 1.4 million in 1970, its growth has been stupendous. The population is expected to surpass 20 million by 2015. Lagos is the commercial and industrial hubs of Nigeria, with a GNP triple that of any other West African country. Lagos has greatly benefited from Nigeria's natural resources in oil, natural gas, coal, fuel wood and water. Light industry dominated in post-independence Nigeria and petroleum-related industry became prevalent in the 1970's, which were the main reason for the cities tremendous growth. Oil production, which began in the 1950's, increased seven-fold between 1965 and 1973, while world oil prices skyrocketed. By 1978, the metropolitan area accounted for 40% of the external trade of Nigeria, containing 40% of the national skilled population. The world recession in 1981, which caused a sharp fall in oil prices, sent Lagos reeling into debt and runaway inflation that persist at present. Energy and water access, sewerage, transportation and housing have all been adversely affected by haphazard development of a geographically disjointed city. 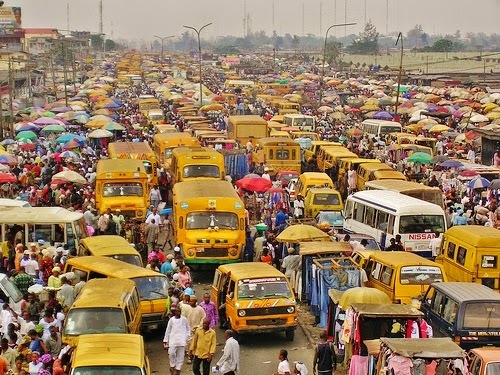 There is movement of 7 million passengers per day according to a United Nations study of which public bus system (Danfo and Molue) shares the major part. The other mode being motor cycle taxis – ‘Okada’ while train shares only around 10,000 passengers per day. The city faces intense traffic congestion which has affected the productivity of its citizen to a larger extent. The city has launched a regulated bus rapid-transit system and has begun work to develop a reliable and affordable urban rail system as part of efforts to sort out its legendary snail-paced traffic. However, it is quite controversial to say that these steps will eventually fail if they are planned in isolation with a focus to just ease mobility structure of the city and its inhabitants. Another problem lies in its sanitation and sewerage system. While the rapid growth of development has boosted the waste consumption and its disposal, lack of public awareness and infrastructure for waste disposal have proved to be significant as well. 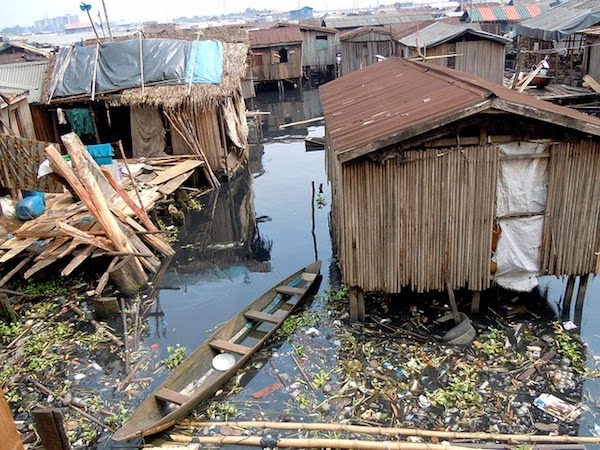 Lagos sometimes assessed to as one of the filthiest capital city of the world could be developed efficiently and sustainable in some sense – the policies and regulations should be a mix of both short-term approach and long-term approach. According to a study, the major portion of the waste generated in Lagos is paper which can be equipped and disposed by means of incinerator, etc, which will make the urban system comparatively efficient. Various other such steps have been formulated by the government authorities in which certain days are fixed, for instance – last Saturday of every month is fixed dedicated for sanitation works and programs between 07:00 am to 10:00 am restricting the vehicular and pedestrian movement during the time span. These are some steps which will enhance the urban system on a short and quick term basis. 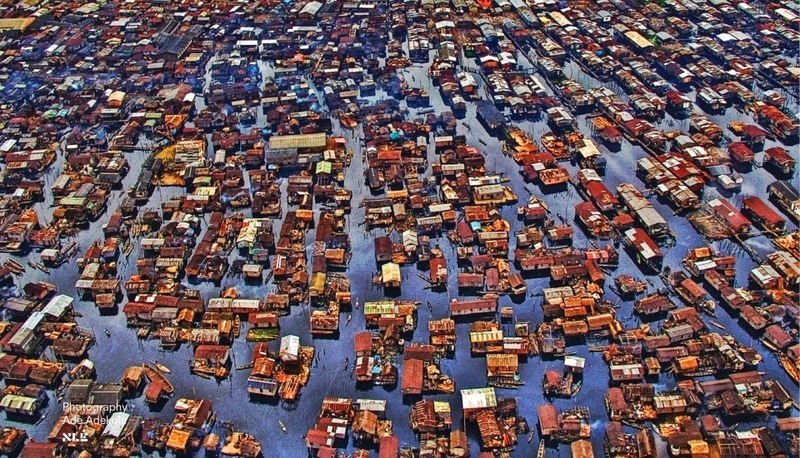 Long-term approach is quite essential to build self-sustainable settlements of tomorrow especially for the developing megacities like Lagos which may include providing city related education to its citizens, building public awareness programs, hierarchical phased development to generate and withstand economy, studying the natural systems and so as to increase their involvement in the overall process of urbanization, etc,. Lagos has a bright future if city developments will be directed based on multi-disciplinary aspect. Cross-sectoral planning may prove quite beneficial and it has a brighter chance in a sense that it has numerous examples of success and failure stories of various cities that the development should be done wisely in order to make Lagos one of the decent livable cities of the world in the coming decades. I wonder if there are any cities in the world (throughout history) that have been able to implement large scale plans through a period of incredibly rapid growth. I doubt it (well, maybe the Chinese will prove this to some extent with there rapid urban expansion - we'll see). How Human Beings Colonized the Five Continents?